The Bindi is most commonly brought as waiting room chairs. 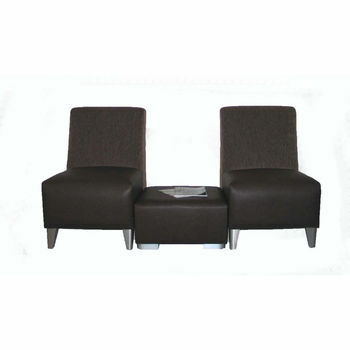 The Bindi is ideal for the business setting as it features 2 comfortable low back chairs with an adjoining ottoman table perfect to rest reading materials for waiting clients. This piece will add style or comfort to any business or room.